Ken Sharkey is the U.S. leader of PricewaterhouseCoopers’ entertainment media and communications practice. He joined the firm in 1985 and was admitted to the partnership in 1996. He spent three years in the firm’s National Accounting & SEC office. Ken was also seconded to the Prague, Czech Republic office for three years to develop the information & telecommunications practice in the region. While there, he was a member of the Czech Republic chapter of the Ancient Order of Hibernians. Ken is an honorary board member of the New Jersey Technology Council and a member of the Morris Business Cabinet. 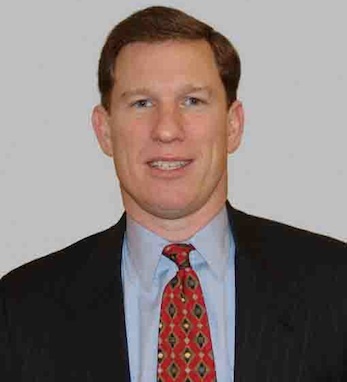 He is on the boards of both NJN and the Morris County Chamber of Commerce. He is a member of the New Jersey, New York, Pennsylvania, and Florida Societies of CPAs, and the American Institute of CPAs. He serves as partner advocate on the firm’s African & Latin American diversity committee. Born in Wilmington, Delaware, Ken attended the University of Delaware. He is a third-generation Irish American with roots in Cork. Ken and his wife Kathleen have a daughter, Elizabeth.